Large Hounds Tongue w/ small bug hanging on a flower. Large Hound's Tongue or Pacific Hound's Tongue is native to California and the pacific coast commonly found in oak woodlands, chaparall and even in pine forests. The name refers to the large bronze leaves the plant grows. 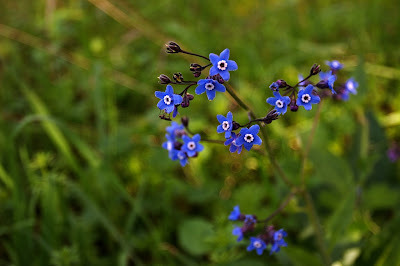 The flower however blooms in early spring sprouting around 10-15 small (3-5cm) flowers from a several smooth stems each 1 to 3 feet tall growing from a single tap root. 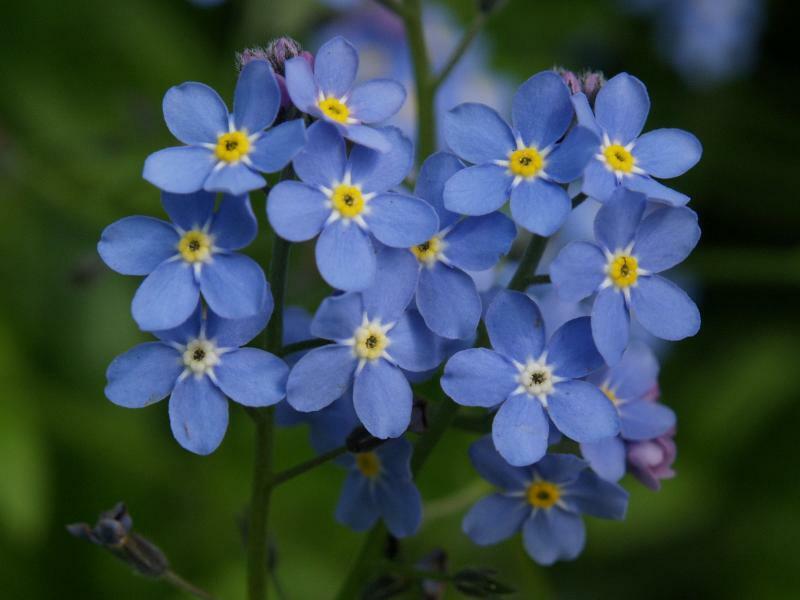 Each flower has 5 blue-violet pedals with white appendages in the center around the cup. It commonly grows near other wildflowers with moderate water needs. Look for it: dry, shady woodlands mixed with other wildflowers. Native uses*: used to treat burns and stomach aches. *I probably shouldn't need to mention it but I will anyway that no-one without real training should attempt to use this flower for any medicinal purpose.